The next big thing in online marketing is content marketing. Sharing knowledge and information helps to get more followers on social media, gain better Google rankings and ultimately attracts new customers to garden centres. 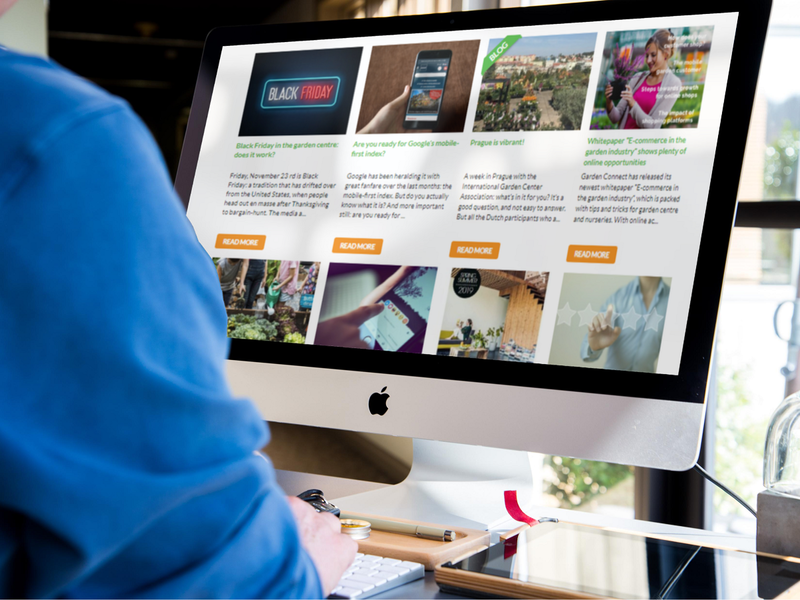 Garden Connect is providing online marketing services to over 300 garden centres in the Netherlands, Belgium, Ireland and the UK and shares the top 5 trends for 2019. It may sound like a contradiction: sharing more information helps to attract more customers. If customers can find answers to all their problems, why would they visit a garden centre in the first place? Well, extensive research shows that businesses who are sharing information online are getting more customers, both offline and online. Garden centres have plenty of knowledge: share it! There’s always a question to answer. Talking about your own business is fine, but you’d better have others talking about it! Online influencers like bloggers are essential to generate more awareness about your products and centre. Reach out to them to grab their attention will help you to spread your message among their readers and followers. We’re using influencers for two reasons: to gain more attention to the garden centres we work for and also to get valuable incoming links to websites. High-quality links will help to generate traffic by people clicking on it. Google will also appreciate these links which will help to get better rankings. Different goals require different kinds of content. Do you want to boost your online sales? Or is increasing brand awareness your main goal? Or do you want to drive in-store traffic? Make sure you set your goals before you start working on your content. Depending on your goals you need to create different types of content. Customers who prepared themselves this way and who visited this garden centre had a very high conversion rate. Why? Because they were prepared properly and were able to make the purchase decision on the spot. Creating content is a challenge, creating relevant content might be even more complicated. Writing an article about garden furniture for a garden centre in the middle Amsterdam doesn’t make a lot of sense: writing about balconies and ways to create a great outdoor space within a limited area sounds like a better plan. Before you start creating content, you have to think about your target audience. You can use Instagram to get in touch with a younger generation of gardeners. However, they tend not to like die-hard gardening but will be more interested in house plants and grow-your-own. One of our customers is very successful using Instagram to drive traffic in-store. They know what their target audience likes: fashionable plants and easy solutions. By posting ready-to-buy terrariums and containers, they manage to tap into a different audience. An audience willing to spend on nice products! Let the plants do the hard work! They are so beautiful, showing them should help to get online attention. We’ve been creating posts like “Top 5 container plants this summer” which generated a lot of views and helped to drive in-store traffic to our customer. Creating these posts wasn’t hard: we just had to figure out trends in container planting and made a list of them which included nice photos. These lists tend to work well and can be used on Facebook too: people love lists. Don’t underestimate content marketing: it’s very powerful and will clearly become more important in 2019 & beyond. However, you need to have to have budget and staff available to define a good work strategy. If not, content marketing will be just another buzzword you heard about but never benefited from. Contact Garden Connect if you want to learn more. Go to www.gardenconnect.com, www.instagram.com/gardenconnectonline or e-mail edwin@gardenconnect.com for more information.